If you are not familiar with the Marie Kondo method of organizing (because you were hibernating), she came out with her book Spark Joy and The Life-Changing Magic of Tidying Up about 5 years ago. Her philosophy is to only keep things that ‘spark joy’ for you. The rest of the items should be ‘thanked’ for their years of service, and then said goodbye to. I am not entirely sure how that works, but many folks seem to get the drift. I have to admit, the show was perfectly timed at the start of the new year in January. A time when we all want to leave the past behind, start fresh and embrace new beginnings. Just a couple of episodes into the show, and I was also caught up in this wave of organizing (internally hoping it would be the answer to everything!). I was ruthless as I stepped into our very cluttered storage room. It is the bane of my existence. ‘Nothing here sparks joy’! . Around 10 am when my family came down the stairs I had piles of donation bags in the foyer. ‘On a Saturday morning? Seriously’. The first few days went well. My friends and I were sharing pictures over Whatsapp of our new-found way of keeping our homes clean and organized. Everyone proudly displaying their rolled up shirts that were neatly arranged vertically in the drawer. Some even went as far as to have them arranged in a color gradient going from dark and light! There were also some friends who felt the need to share their organization of undergarments – lace, cotton, special occasions ! Did I need to be seeing all this? I would have loved to share a picture with you all at this point, but I’m sure that would mean crossing some kind of personal digital boundary. It wasn’t long though before the pressure started mounting. From clothes, shoes and kids rooms, my friends had moved on to the kitchen. Pictures of open refrigerators with pretty white baskets all stacked neatly, were being shared! Each basket separated by food group or maybe even separated by macros. Who knows? The vibrant colors were popping out of the refrigerator like those magazine spread outs you see. I rushed down to see my refrigerator. It had a half empty bottle of pasta sauce, leftover school sandwiches (which no one will actually ever eat), sauces, bottles, bowls but no baskets! I wanted to take everything out, and arrange it according to its height. Taller bowls in the back, and shorter in front for visual appeal. But it was stressing me out. I felt like I needed the damn baskets! My anxiety was being triggered. Every where I turned it seemed like my home was a mess. And almost unnecessarily so. It was the small things though. For example, the books that were returned by friends were still on the foyer table. And don’t even ask about my nightstand that had pile high books that were to be read. My yoga mat was rolled up, but not in its designated spot. And this is just my things. Don’t even get started about my family. When you see Marie Kondo on TV, you see her quiet calming and smiling demeanor. She always looks at peace. I was definitely not at peace in any way shape or form. Everywhere I went, I felt incomplete. Like something was not right. I opened my drawer to put back my headphones and I ended up fixing the 3 things that had scattered inside. Then I would check the drawer underneath to see its condition and fix that. Needless to say, it was getting to the point of craziness. I felt like the Monica Geller of organizing. I was categorizing and color coding everything left right and center, probably the same way Monica does for her guest room towels. You know she has 11 categories for her bathroom towels – ‘everyday use’, ‘fancy’, ‘guest’, ‘fancy-guest’…the list goes on. The idea probably should be to tackle one area or category at a time. But I had five areas that I was Marie Kondo-ing to my heart’s content! That was an epic fail right there. This was my home and I love coming back to it at the end of the day. It was turning out to be a place that I couldn’t sit in without thinking of what all needed reorganizing. KonMarie all you like. But is it worth it, if you lose your sanity? Probably not. There are countless articles that talk about how clutter causes anxiety. But can tidying up cause anxiety as well? If you are going to be burning the midnight oil just to clean your closets, it’s likely to trigger anxiety. Imagine running on 2 hours of sleep, because you have KonMarie’d your entire kitchen. It’s easy to say take it one step at a time. But somehow, once the Marie Kondo bug strikes, it’s hard to stop yourself. I don’t know about the rest, but I for one have some kind of organizing system in place in my house. No, I may not fold my clothes in small little toy soldiers, but you know what, I can find what I want immediately. The rest of my house, is the same way. Yes, my kitchen doesn’t have glass bottles and baskets everywhere, but it is still organized the way I like it. Some areas of my home have what you may call ‘organized chaos’, but isn’t that part of every home? And that is what makes it ‘home’! If you have a system in place that is working for you, then you’re golden. But if you want to tackle the Marie Kondo way, I suggest taking it slow and not getting consumed by what others are doing. Oh and keep a Xanax near by for good measure! 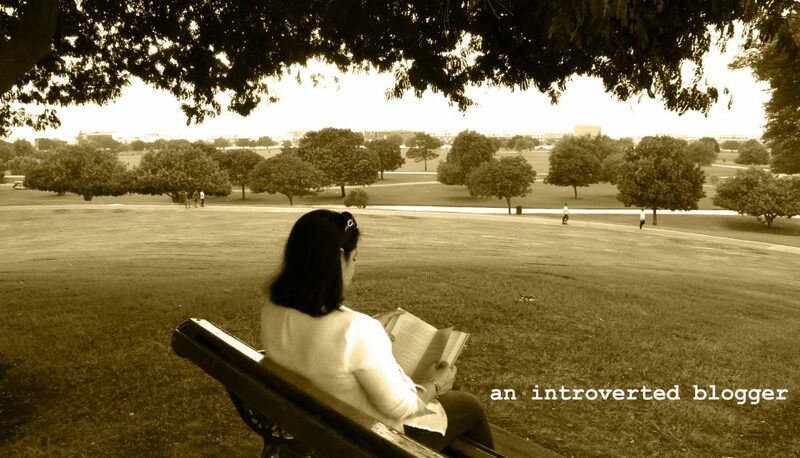 This entry was posted in Reflections and tagged anxiety, cleaning, konmarie, marie kondo, organizing, sparks joy, tidying up by An Introverted blogger. Bookmark the permalink. This was such an interesting take on tidying up. Don’t blame you for feeling overwhelmed and triggering anxiety. Watching Marie Kondo it almost seems you can achieve perfection through tidying and organising. I like my things neat and in place, and don’t mind doing all that and cleaning. But sometimes I do feel like it’s not enough – like I could organise better or make my space neater, and makes me question if I should have kept this or that. I too binge-watched the show and read her book, and then got a sudden urge to start tossing things out! I ended up organizing a few drawers but that’s not really the “Kon Marie” method. I mean I’m happy with the drawers, but with a six month old baby, there are just so many other things to take my time and give me joy. I’ve come to the conclusion that if you really want to do the whole Kon Marie tidying, you and your spouse need a three week vacation to pull it off. Who has time for that? I have friends going nuts for her books and the show:). And while I’m far from her standard, I did recently clean out my kitchen island and will admit to just standing there with cupboard doors open admiring my handiwork:). I guess that brings me a little joy. So you’re not alone! Absolutely! There is a certain joy or elation I feel after cleaning a space! But I can probably not go to her extent. This is great! I also got the tidying up bug, to then have to tell myself chill. I have 3 kids under 4 and sometimes being with them is more important than tidying up. Thanks!! I sometimes get referred to being like her so I had to add that in! I think when we have things beyond our control in our daily lives we look to things we can tangibly control and tidying is one of those. I think this obsessive tidying is a flimsy façade for masking what we are really feeling- our mental clutter! That was a fun read . Coincidently I just konmarie-Ed mine and my husbands drawers yesterday and it felt so good. There was a level of excitement but I’m sure it’s not going to last long . I do conquer with you. You did! Send me pictures! I like keeping the house clean and organized and we do do spring cleaning from time to time. But that is about all. Also, it is an ongoing process. Must be maintained, otherwise you are back to your old habits! HaHa! Let’s make sure you don’t have any Marie consultants walk into your area anytime soon! That is so true! KonMarie-ing caused me anxiety instead of sparking joy! It was a bit much when I started all areas of the house! I guess it works for some? Perhaps. Spot on! I saw the first episode and it did not speak to me at all!